We are a rapid prototyping bureau utilizing state of the art prototyping and milling equipment specializing in 3d Jewelry Design with our design department that is staffed by experienced designers. This reduces your costs and time-to-market by translating CAD designs from jewelry design software into 3D casting patterns. 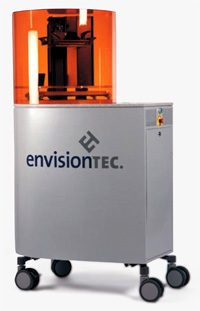 Stereo-lithography is the most accurate of all prototyping technologies. Our 3D Laser and 3D Printers produce 3D Jewelry Models. We are producing 3d jewelry design models of the most intricate and complex designs with the assurance of results that are geometrically perfect. Undercuts, overhangs and cavities are no problem because of the technology that we use. We create realistic prototypes from your cad files. Using the finest resins and highest possible resolution, 3dBull.com delivers excellent prototypes at a fraction of the cost. In the past jewelry design was greatly hindered by difficult communication between the customer, the salesperson and the jeweler. The only other option for executing a jewelry design was looking through a stock jewelry design catalogue. Often the customer had a vision or idea, which was not realized in the finished piece of jewelry. With the aid of computer aided design (cad) jewelry design has taken a wonderful new direction. With 3dBull jewelry stores and jewelry customers can actually see their idea before the actual manufacturing begins. Other important benefits to cad jewelry design is accuracy and affordability. Your jewelry design can now be manufactured with incredible symmetry because the wax model is created using our in house rapid prototyping (rp) machines and state of the art milling machines that replicate the 3D Jewelry Models in the finest details. We will be pleased to help you convert your sketches and 3D CAD files into models ready for casting. If you do need to have the models casted, this can be done by us as well. We strongly belive in protecting the privacy of our clients and their designs. We appreciate your business and stand behind our commitment an obligation to maintain the integrity and confidentiality of any of our customer's 3d Jewelry Design and 3d Jewelry Model. • As long as your picture or sketch conveys the general design we can take it from there. Your sketch can be simple or exact and to scale. • Top and side views are preferred if available. Give a description and measurements. • Your description should include ring size, stone shapes and sizes, shank style, width and height were applicable. • Describe other features of the design as desired. Receive CAD rendering via email. • You will receive an email or call follow-up for further information if required. If not, you will receive a quote. • Once approved you will then receive a cad rendering via email to review. At this time any changes can be made. Reply with modifications or approval. • If changes are needed, we will re-email new renderings. • Email or fax final approval of design. Onsite rapid prototyping and model printing. • Our machines will then build your design into a stunning 3D jewelry model ready for direct casting. You are then ready to cast, set and polish.